You want to go out for a trip with your friends but you want to hire a car without a chauffeur? If you are stuck up in such a condition, then one option that you have is to contact Zoomcar. The site a nd the android application are simple to use where you have to provide your details along with your current location and the application is ready to operate. You just need to provide the travel destination, the type of car you need and other relevant details. You get the car on rent at your service that you can drive on your own and explore the trip with your friends. The site offers flexible tariffs as per the trip distance that you are going for and the type of car that you are hiring. The site is also user-friendly to explain all about the insurance, payment and other details that are easy to understand and manage. Book a Sedan or SUV from Zoomcar for minimum 4 hours on Monday to Thrusday and get flat discount of 15% on it. Maximum discount av ailed by you is Rs 500. Use the given coupon code to grab this offer. Visit retailer website for more information. Book now! Book a car from Zoomcar for minimum 4 hours on Monday to Thrusday and get flat discount of 10% on it. 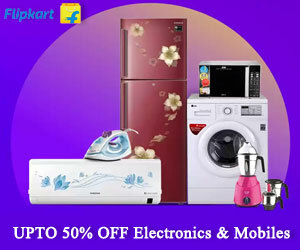 Maximum discount availed by you is Rs 300. Use the given coupon code to grab this offer. Visit retailer website for more information. Book now! Book a car for minimum 48Hrs from Zoomcar on Monday to Thrusday and get flat discount of Rs 400 on it. Use the given coupon code t o grab this offer. Visit retailer website for more information. Book now! Book a car for minimum booking amount of Rs 4000 from Zoomcar and enjoy flat discount of Rs 650 on it. Apply the given coupon code to grab this offer. Visit retailer website for more information. Book now! Get the Flat 20% off on Self drive Car on payments mode using the Rupay credit/debit cards. This offer is valid for all the user f or the limited Period of time. Book a Sedan from Zoomcar and enjoy flat 15% discount on your booking. Offer valid on bookings from Monday to Thrusday. Maximum a vailable discount is Rs 500. Use the given coupon code to grab this offer. Visit retailer website for more information. Book now! Book any car from Zoomcar and enjoy flat discount of 10% on your booking. Offer valid on bookings from Monday to Thrusday. Maximum available discount is Rs 300. Use the given coupon code to grab this offer. Visit retailer website for more information. Book now! Book any car for minimum 48 hours and enjoy flat discount of Rs 400 on it. Offer valid on bookings from Monday to Thrusday. Use th e given coupon code to grab this offer. Visit retailer website for more information. Book now! Book any car from Zoomcar and enjoy flat Rs 650 discount on it. Offer valid on minimum booking of Rs 4000. Use the given coupon co de to grab this offer. Visit retailer website for more information. Book now! Book your ride from Zoomcar using Rupay wallet and enjoy flat 20% discount on it. Maximum discount is Rs 1000. This offer is not v alid on peak days. Apply the given coupon code to grab this offer. Visit retailer website for more information. Book Now! Book your ride from Zoomcar using Mastercard Debit and Credit Cardand enjoy flat discount of 20% on it. This offer is not valid on peak days. Apply the given coupon code to grab this offer. Visit retailer website for more information. Book Now! Zoomcar Deal: Subscribe a new Car for yourself at Rs 2100. Get the brand new cars under Zoom car deal with flexible packages and shift of plans at all the brand new cars. This Zoomcar ZAP s ubscribe offer valid for monthly packs, 6 months, 12 months and 24 month plans with No EMI's, No loan, No Downpayment, No Maintenance or Insurance. Zoomcar Offers: Up to 60% OFF on all type of cars at Bangalore. Get up to 60% Off on everyday deals for Bangalore from Zoom Car as it includes all type of cars with Pre-selected deals. Enjoy the se self-driven cars at their best price as 48 hours are the maximum booking duration. Zoomcar Pune offer: Get Rs 560 per day a Weekly Commute Package. Get a car for Rs 600 per day or less as Zoomcar is offering amazing weekly package for users who are based on Pune. Where you can get your favourite car for six days a week except saturday.This Offer end Soon so hurry up and grab this incredible offer now. Get Up to 50% OFF on all Zoomcar Categories of vehicles as it introduces a New deals every day for Delhi user. Maximun duration is 48 hours and 3 days in advance with this deals. Try to make maximum use of this offer between Monday and Thursday and Hurry up! !